This was the first holiday I went on with my future hubby. We had met a few months earlier and we decided to go away just the two of us to the sunny isle of Tenerife. He had been there before so knew his way around and where to stay. I just wanted to go away with him really! 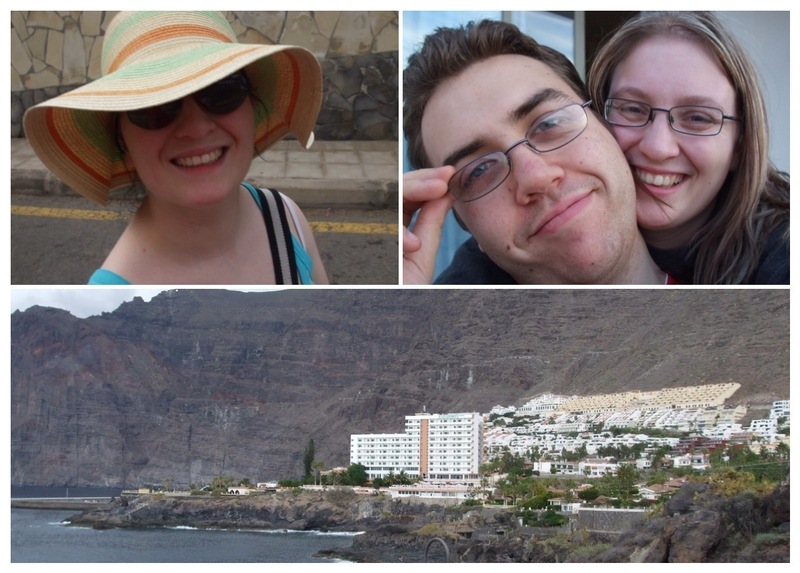 We went for a week in November – in fact we were flying out on his 25th birthday – so it wasn’t too scorching in Tenerife. This was good as I don’t cope very well with heat and of course i didn’t want to be a miserable cow with him on our first hols! We stayed at the Barcelo Hotel in Puerto Santiago. It was a really nice hotel and we had aa balcony with a view of the coastline. There was a pool at the hotel, a bar, restaurant and entertainment. We had booked an all inclusive holiday so all our meals at the hotel were in luded. This was a good move as Puerto Santiago was some distance from the main tourist trap of Tenerife so our dining options were a bit limited. Luckily the food at the hotel was lovely! They had all sorts of food with a different theme every evening. The only evening that was not to my taste was seafood as I don’t like seafood. I managed to find what I thought were onion rings but they turned out to be squid rings? Eeewwww! I think we spent around 2 days just lounging around at the hotel pool – he loves swimming whilst I was sat in the shade with a book! I did join him n the pool at one point but he almost drowned me so that didn’t go down very well! 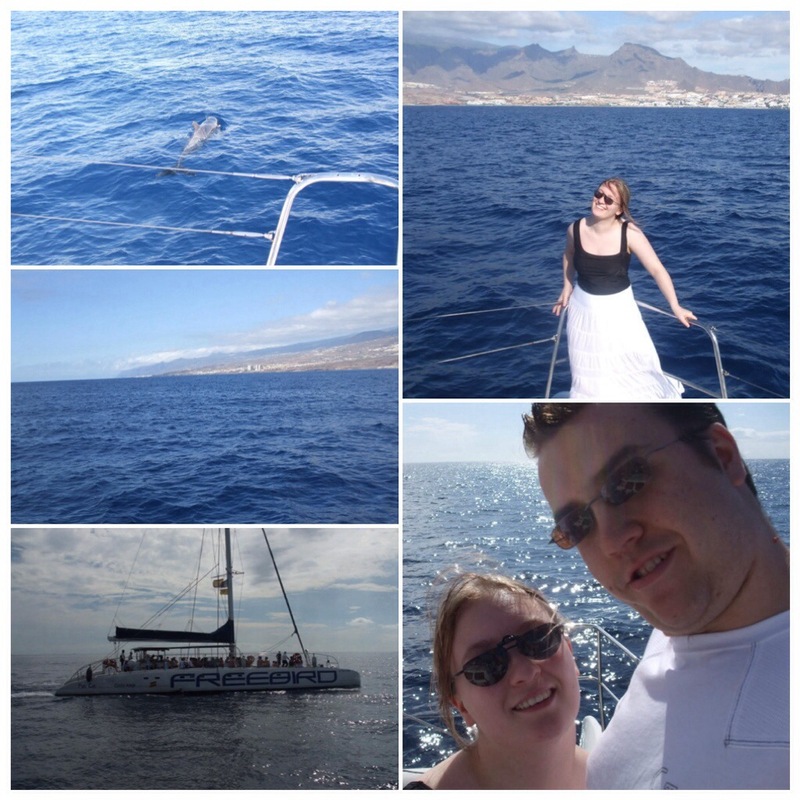 Another day was spent on a catamaran cruise to see the dolphins. That was a good day out! Another day we travelled to Playas Las Americas to visit Siam Park which was a brilliant waterpark they had there. We thoroughly enjoyed that despite the fact that I couldn’t see because I had to take my glasses off! The only unfortunate event of this day was the fact that he lost his wallet with over €80 in it! We’re still unsure if it was lost I’d stole but we never saw it again! 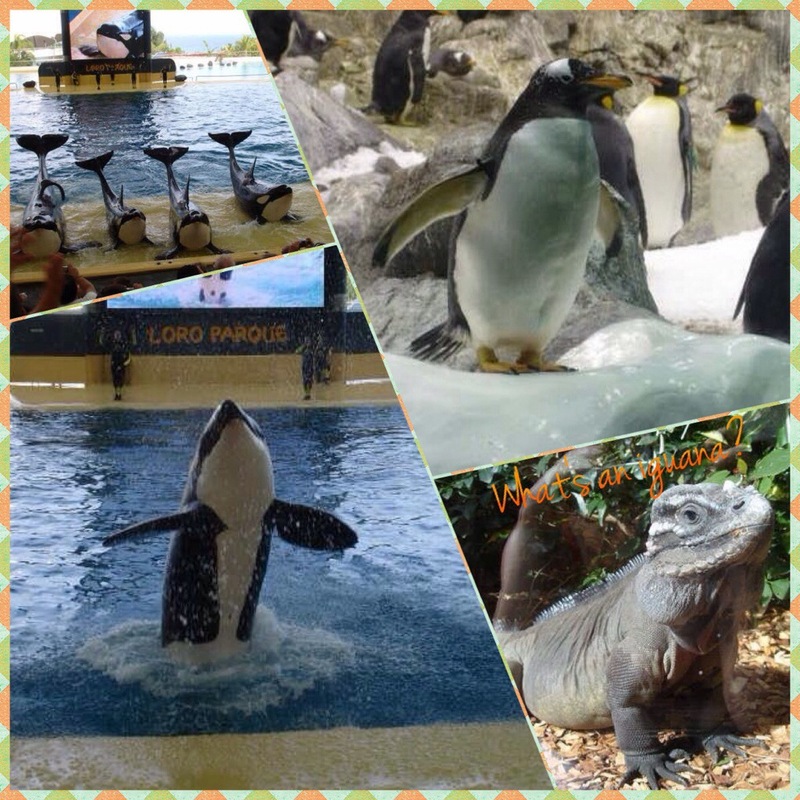 We also visited Loro Parque which is like a zoo. It took us ages to get there as it’s on the other side of the island but it was a good day out nonetheless. It was the first time I’d been to this sort of park – so my first experience of watching whales do stunts and tricks. It’s just amazing how they get them to do it! It was a fantastic holiday and I wouldn’t mind going back! What was your first holiday with your significant other? I loooooove your hat in the first picture! My first holiday with Jan was a weekend in Amsterdam with family. It wasn’t our best holiday – family should never be involved in these things! Haha. Ahhh yeah family and holiday generally don’t mix! Although having said that I’m going on holidays with the in laws this year – wish me luck!